Summer vacation is coming to an end! We have only few more days left to enjoy this relaxed, laid-back life and then return back to same old routine life. Before we become too depressed, let’s celebrate last few days of summer with its signature dessert. Ice-creams and summer are synonyms. 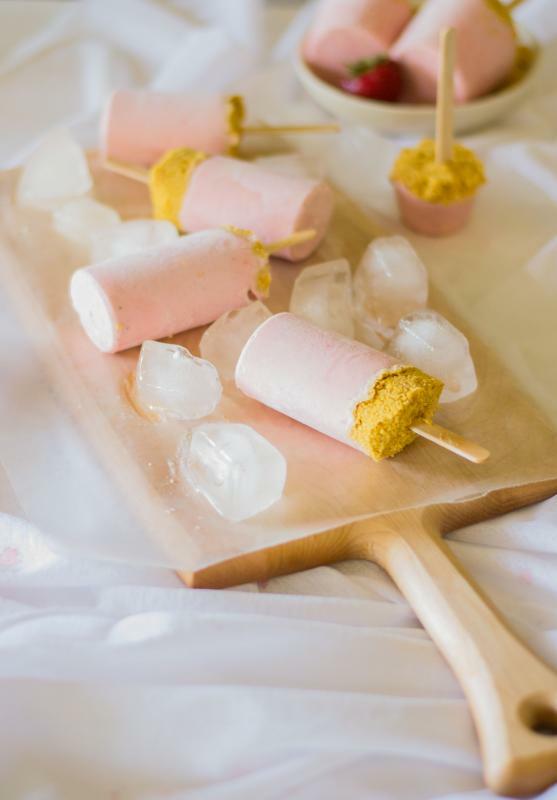 Perhaps all of us still remember the flavors of the ice-creams we had in our school days and how it used to bring happiness after school hour. Even though they were cheap and not branded, those tastes will be alive in our mind forever. Butter ( melted ) - 1 tbsp. 1. In a food processor or in a blender add the graham crackers, process it until it becomes crumbs, add the melted butter into it. Mix it well and set the graham crackers mixture aside. 2. Add the cream cheese, sour cream, powdered sugar and milk in the food processor ( or in a blender ) run it until incorporated. 3. 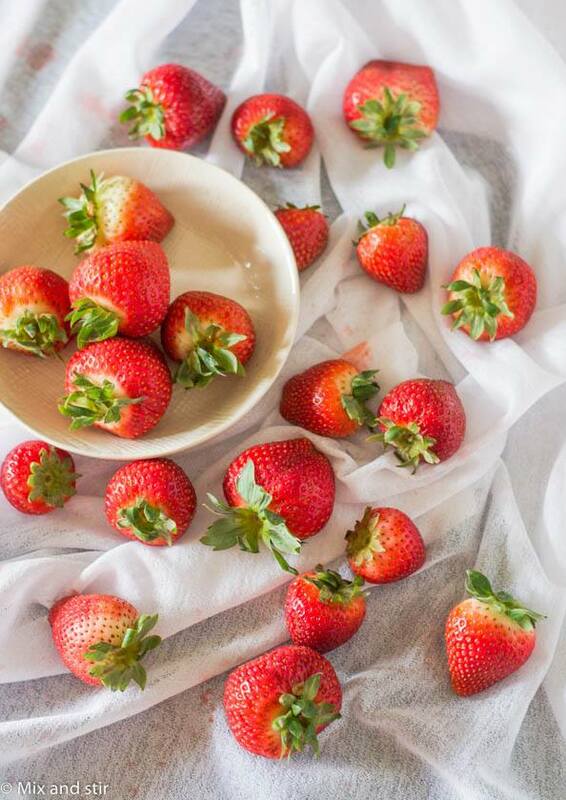 Add the strawberries, and again process it until it is well combined. 4. Pour the mixture into popsicle molds. 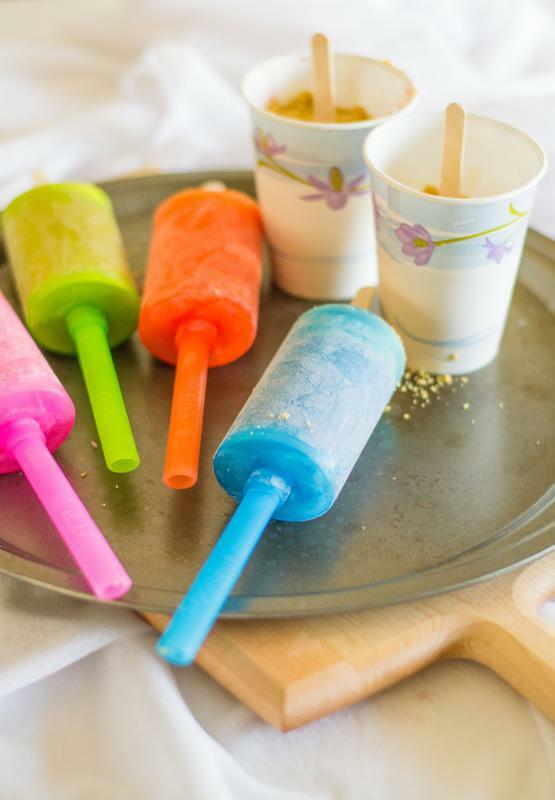 ( if you don't have popsicle molds use paper cups ). Leave the top of the molds empty around 1 inch for the crust. 5. Divide the crust evenly among the popsicles, press down gently. 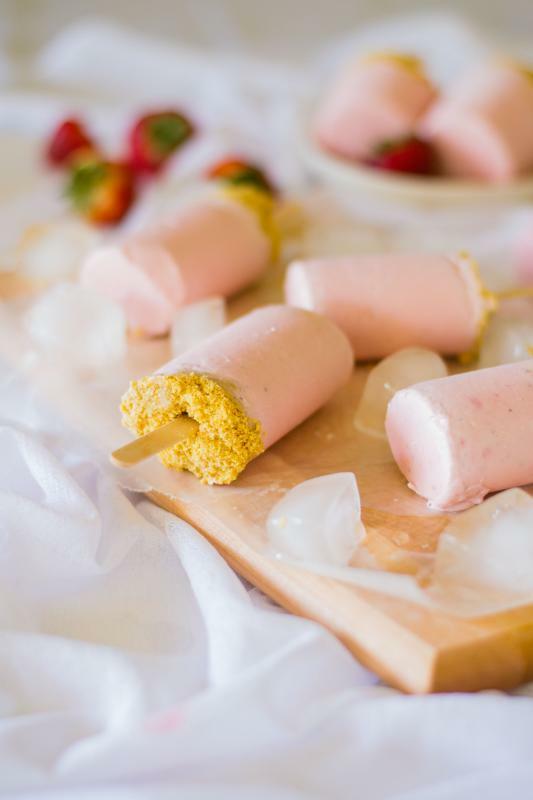 Insert popsicle sticks and freeze them for at least 6 hrs. You can freeze it up to 3 to 4 days. 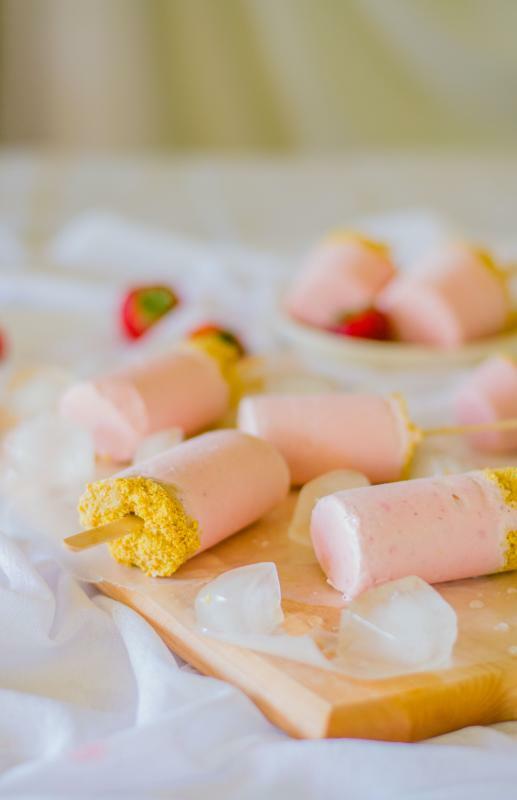 Enjoy your home-made Strawberry Cream Cheese Popsicles!! Note : You can change the flavor as per your taste, add chocolate or another fruits in the place of strawberry. mouth watering! excellent photography as well as presentation! well done! Amazing clicks.. Those popsicles are popping out of the screen.. Yumm! !